There are now more ways than ever for startups to find and connect with investors, through in-person events and online deal-closure platforms, but this also means that investors are seeing more companies than ever before – it is important for entrepreneurs to catch their attention as they may only have one chance to make a good first impression. Many startups start reaching out to investors before they know how to make a sound and compelling investment case for their business – and how to articulate that. Often even strong entrepreneurs with good ideas never get a foot in the door, or catch an investor’s attention because they have not been able to present a compelling case to investors. Investors want to see a well thought out plan for your business. And how well your pitch deck or intro video communicates a well-thought-out plan is what can get investor attention. 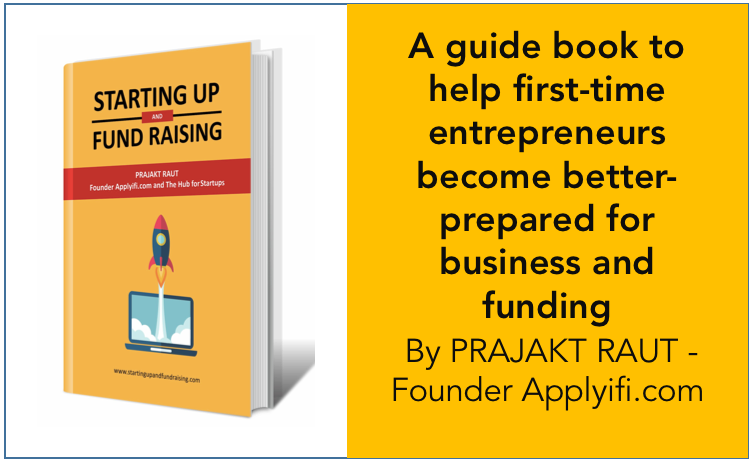 That’s why I wrote this book to help startups in this crucial step – in helping them refine their plan, understand the investor’s perspective and help them articulate their investor pitch in a manner that gets investor attention. The book is also intended to help founders understand how to think of the building blocks for their business. Entrepreneurship is a tough and challenging journey. The chances of not succeeding are significantly higher than your chances of succeeding. For a startup to be successful 20-30 things have to go right. But for it to not succeed, just one of those many things has to go wrong. Product, value proposition, customer segment, pricing, revenue streams, business model, distribution, communication & brand personality, positioning, funding & finance, user experience, customer service, team & people resources, processes, etc. etc. are things that need to not just work well, but work in sync with each other for a startup to be successful. Knowing about what issues to think about, and having some competence to think through them, or garnering resources & people who can guide you through them, is no guarantee of success. But not even knowing about ALL the aspects that you might need to think about in a venture is most likely to be a foundation for failure. This book’s attempt is to help entrepreneurs think through different aspects of their business, so that they do not miss out on thinking about the various aspects that will need to work well, and work in sync to give the startup a better chance of success. Your ability to assess an opportunity or a challenge increases as you learn from others who have had some experience in the space. This book’s attempt is to provide you inputs on what areas to seek answers & guidance/mentoring on, and provide examples that could help you ask more, and more relevant questions. I have written this book for aspiring and recent entrepreneurs. In my view, the best way to benefit from the book is to first dissect each topic in the context of your life, your aspirations, your circumstances and your business and then make a list of questions to seek answers & perspectives on. Assimilate the various options, and after considering all possibilities and options create a plan for your startup. And then again discuss the plan and options with others. The more you think through the different aspects, the more you discuss with people, and the more you are able to get validation on your assumptions, the better your chances of success. I wish you all the very best in your entrepreneurial journey. And remember, you never fail as an entrepreneur. Sometimes you succeed, and sometimes you learn. Previous Previous post: What are the pros and cons of pursuing entrepreneurship at 23? Next Next post: Are angel investors and VCs greedy? Why do they seek 10x – 20x returns on their investments.